A taste of summer is all we get this week. A contrast of deep rich multi-hues with clean white. A contrast of rugged looped wool with light, airy cotton. Will you be huddling in, staying cozy on a rainy morning, or letting the breeze blow through as the late sun creeps down? It’s best to be ready to enjoy it, either way. This dreamy Organic bed has appropriate layers to adjust to your mood, and look great in the meantime. Against your skin is the Coyuchi Double Diamond collection. 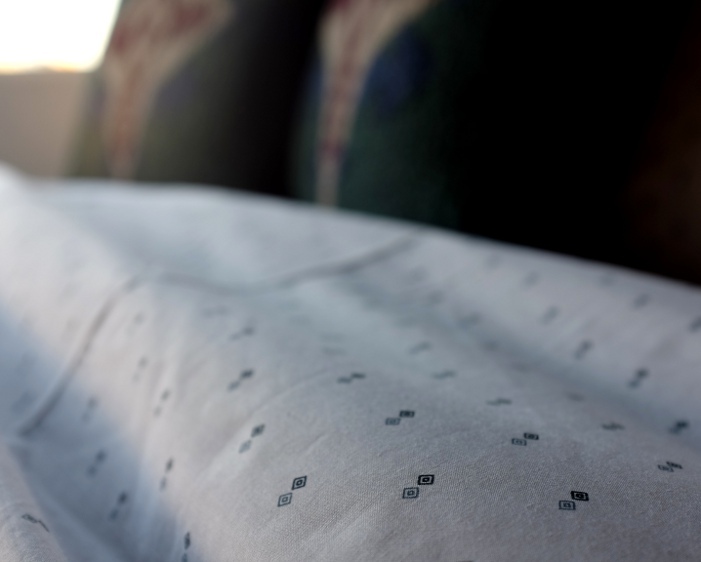 Bright, pure white organic cotton sprinkled with the charming diamond pattern. The duvet cover blends cool and deep blues in a soft herringbone pattern you have to feel. The next layers of pattern and texture are Pendleton classics. 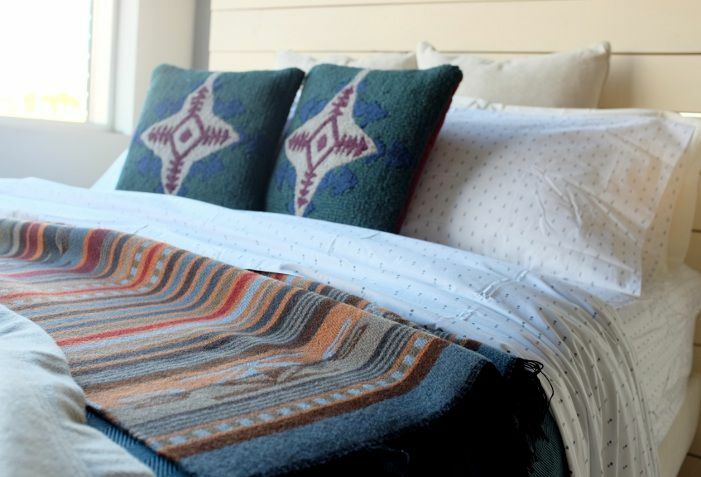 The Chimayo throw blanket is made from pure, soft wool: light yet warm. Timeless and versatile. 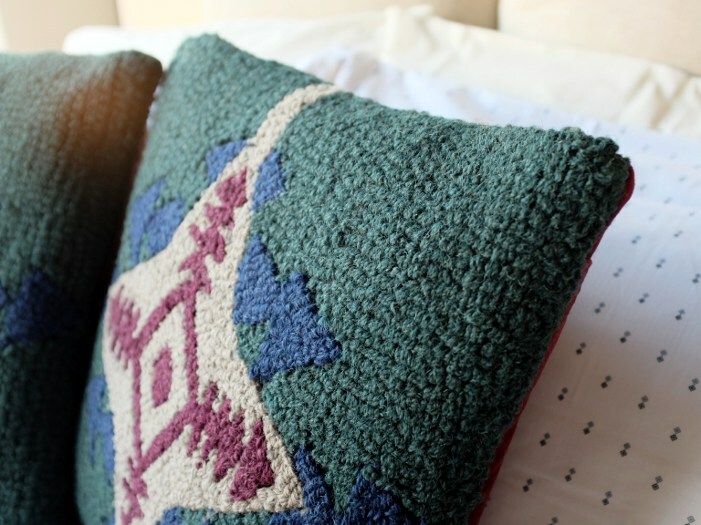 And the whole thing is accented with the Pendleton Conejos Hooked Wool pillows. Character and style known to loyal Pendleton fans everywhere. Of course we don’t forget the mattress. Underneath it all you’ll find the Green Sleep Dolcezza. One of our most comfortable organic mattresses. Customizable to your exact needs, so you know you are going to wake up feeling energized and ready to jump out and face the world. Because you’ll want to enjoy every second you can in this dreamy organic bed.